Timmy Turner "2016 Local Hero"
Grab your average restaurant server anywhere along Huntington Beach’s Main Street and chances are most of them are far from heroic. But, like most HB locals, if you know where to go for that post-surf breakfast chow you can encounter a living legend. Timmy Turner, who regularly works at his family’s Sugar Shack on Main Street, has defied all odds on multiple occasions throughout his young life. A former captain of the H.B. High School surf team, Turner quickly found an affinity for the flawless, hollow waves of Indonesia. Not many folks can survive on a deserted island for lengthy amounts of time, let alone document it all on video and score perfect waves in the process. 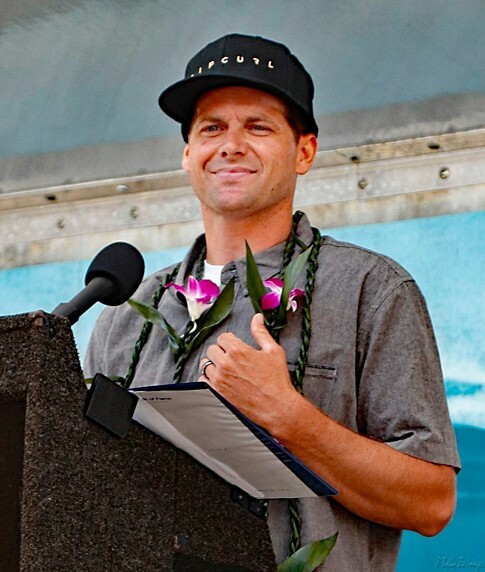 But Turner, along with friends Travis Potter and Brett Schwartz, repeatedly returned to the speck of sand and reef over a three-year span with the final result being “Second Thoughts” – a film that won Movie of the Year at the 2004 Surfer Poll and Video Awards. 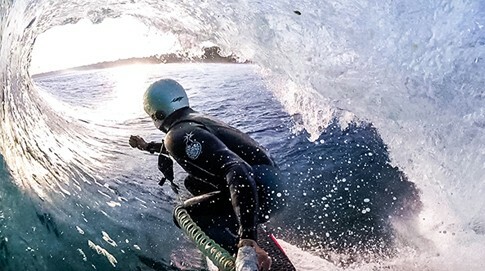 PHOTO: Timmy Turner, shot with his GoPro in Indonesia. Photo courtesy of Timmy Turner. PHOTO: Timmy takes the podium in his humble manner. Photo courtesy of Bobby Zee Images. PHOTO: Timmy Turner at his local Huntington Beach Pier 2016. Photo courtesy of Lew Harrison. But shortly afterwards, Turner faced a life threatening scare that made his feral Indo stint seem like a walk in the park. 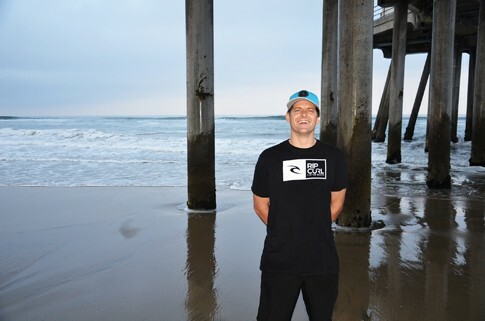 Turner would swim around the HB Pier daily while rehabbing an ankle injury. Soon, contaminated water filled his sinuses and spread an aggressive staph infection through his head. He underwent six different brain surgeries, while losing most of his skull in the process. Lucky to be alive, Turner wasn’t allowed to surf in warm climates any more for risk of reinfection. Unable to sit still, Turner produced a subsequent film called “Cold Thoughts” – the cold-water sequel documenting another less dangerous-but-equally-feral search for waves among the world’s chilliest and rugged lineups from Canada to Iceland. 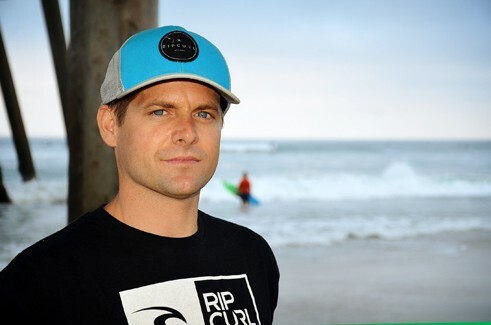 During filming, Turner (wearing a helmet to protect his skull), slammed a submerged rock extremely hard on a wipeout and cracked the helmet and some ribs in the process. Safe to say, Turner’s been through a lot. And these speed bumps seem to make him even more resilient and happy to tackle any challenge. Most recently, on leave from his Sugar Shack shifts, Turner and his brother Ryan traveled to a river in China to ride a tidal bore known as “The Silver Dragon.” And despite all his worldly exposure, you can still regularly find Turner surfing his beloved HB lineup. PHOTO: Induction Day 2016, Timmy Turner with Woman of the Year Mary Lou Drummy. Photo courtesy of Sharon Marshall.